Christmas is my favourite time of year, whether I’m in London or the motherland. I love everything that the Greek festive season stands for, so I thought I would share some of my favourite traditions with you. On the first day of Christmas, my true love gave to me… lots of naughty goblins. Kallikantzaroi come out for the Greek 12 days of Christmas from the 25th to 6th January and so we keep our fireplaces lit to stop them coming down the chimney, as well as hanging thistle for protection! Unfortunately, no five gold rings or French hens in sight in Greek folklore! However, the Greek Christmas feast is an unrivalled one. I always look forward to the roast turkey and pork, but most of all, the melomakarona honey cookies; their smell wholly epitomises Christmas and that warm feeling inside from your loved ones. 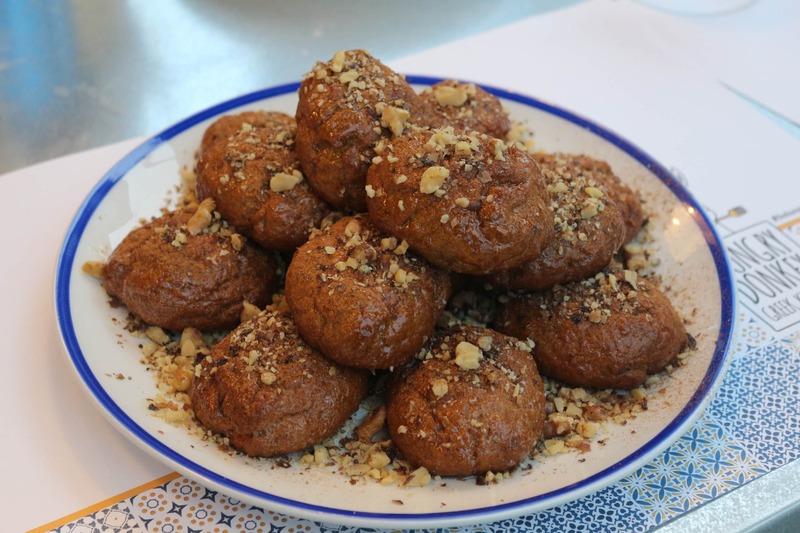 They are just so great that I had to share them with you at my Greek restaurant, why not pop in and try some? Other Christmas treats are available at Hungry Donkey, as well as a fine selection of Greek wine and typical craft Greek beer – what’s Christmas without a festive tipple?! We look forward to having lots of you in to try our Christmas offering at Hungry Donkey in Spitalfields. Have a wonderful Christmas from your favourite hungry donkey!